Ever since George Lucas decided to take classic celluloid swashbuckling and give it an out-of-this-world overhaul, the lightsaber has been inspiring backyard playdates. 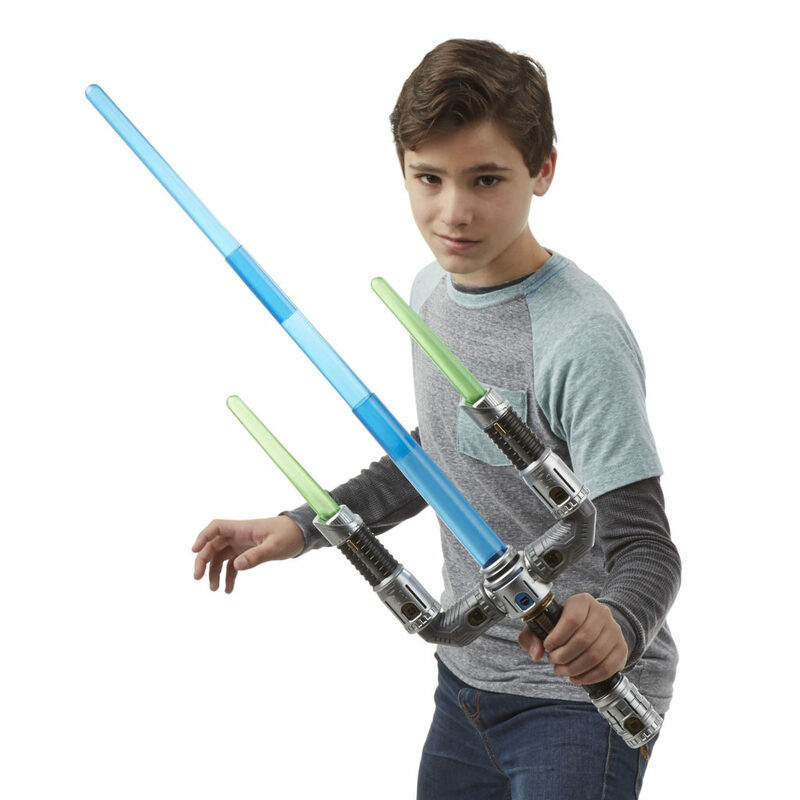 Nearly 40 years after the first toy lightsaber hit shelves, younglings continue wrapping their hands around an elegant plaything for a more civilized age. A massive arsenal of toy sabers — running the galactic gamut in size, style, and special effects — have been released throughout the years and a beaucoup of blades keep on coming. Take a peek at our list of highlights, a collection of officially licensed toy lightsabers that would have General Grievous green with envy. 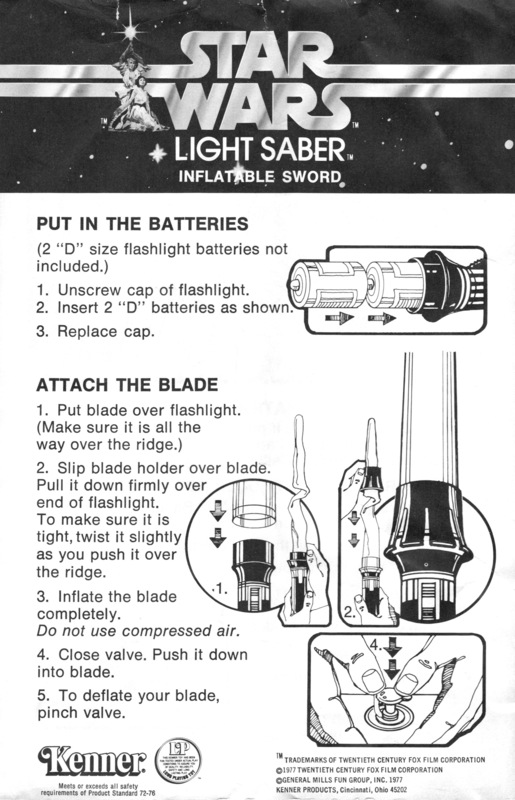 In 1978, Kenner execs knew Padawans would go ga-ga over a toy version of the Star Wars lightsaber. 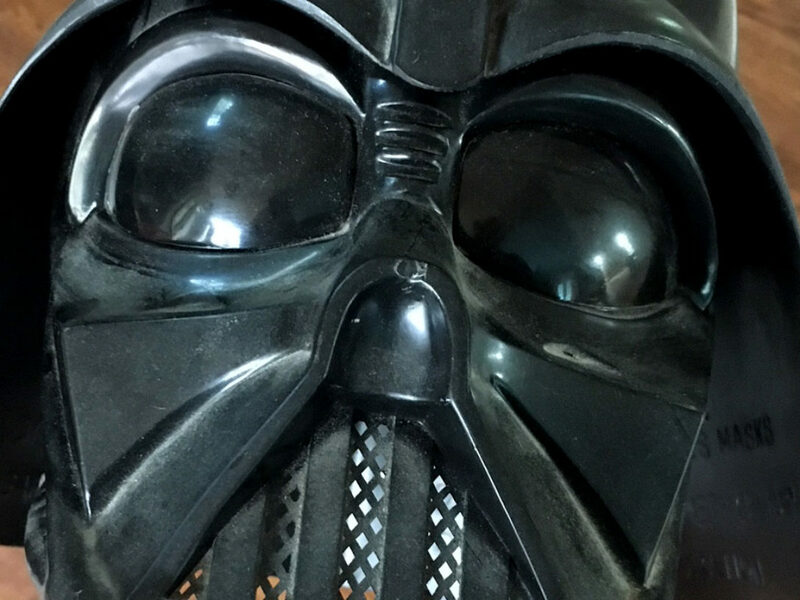 As one of the first Star Wars toys on the market, it lit up toy aisles, literally. Designers basically took a flashlight and connected it to an inflatable yellow vinyl blade. Although no yellow lightsaber can be found in A New Hope, the color stayed in step with the one brandished by the Luke action figure. 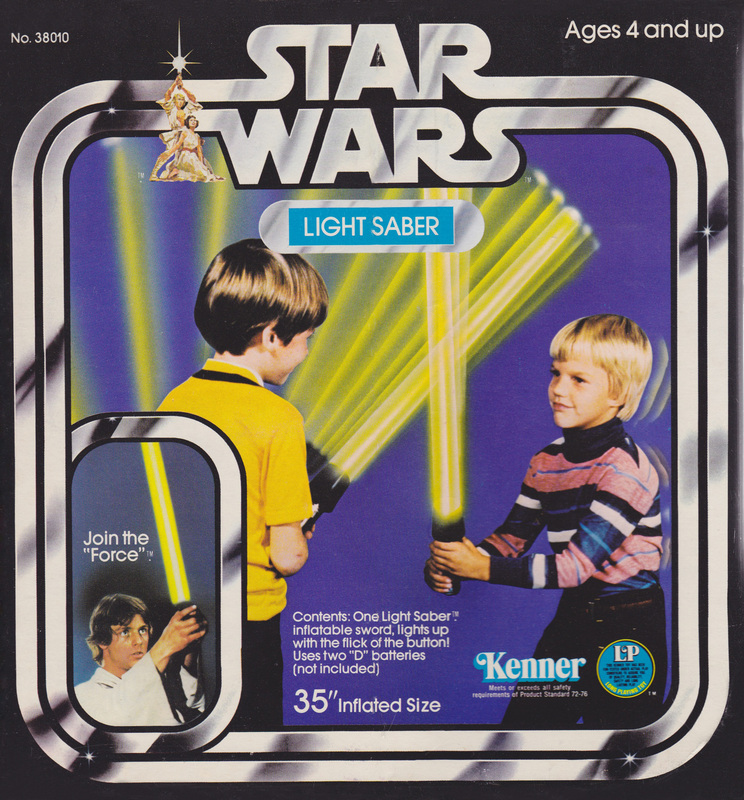 The toy lightsaber commercial featured kids slinging their blades and swatting at silver balloons, the latter a stand-in for Jedi training remotes. Sounds like playtime bliss, right? Well, overly excited wannabe Skywalkers often dueled so hard their blades would spring a leak, deflating the fun. Thanks to forward-thinking toy honchos, all wasn’t lost. 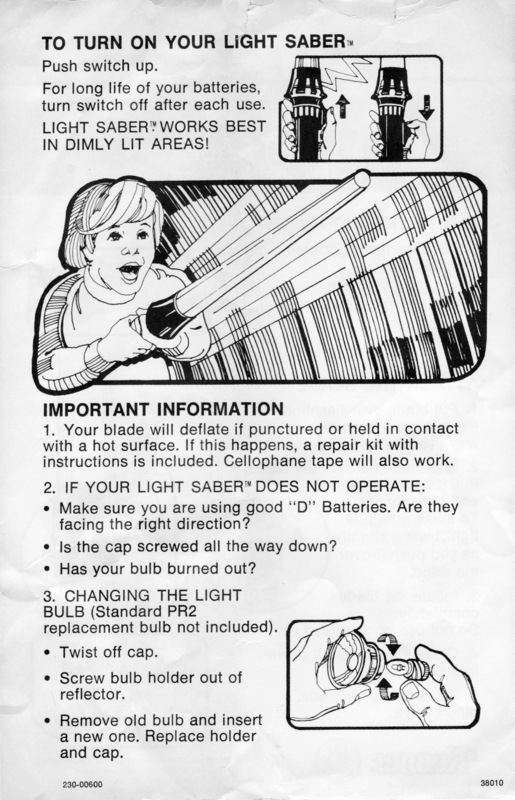 Each lightsaber came with a patch kit for repairs. When The Empire Strikes Back blasted the box office in 1980, Kenner brass decided to reimagine the toy saber. The result proved to be The Force Lightsaber, a more-than-3-foot-long plastic tube, available in either yellow or red. Each saber featured little holes on the end of the blade. Swing it like a Kenobi, and it would make whistling noises that came surprisingly close to a saber hum. The Force Lightsaber continued through the Return of the Jedi years, although the yellow blade got the boot for neon green. Photo courtesy of The Strong, Rochester, New York, USA, museumofplay.org. Some consider the years 1986 through 1994 to be dark times for the toy Rebellion. 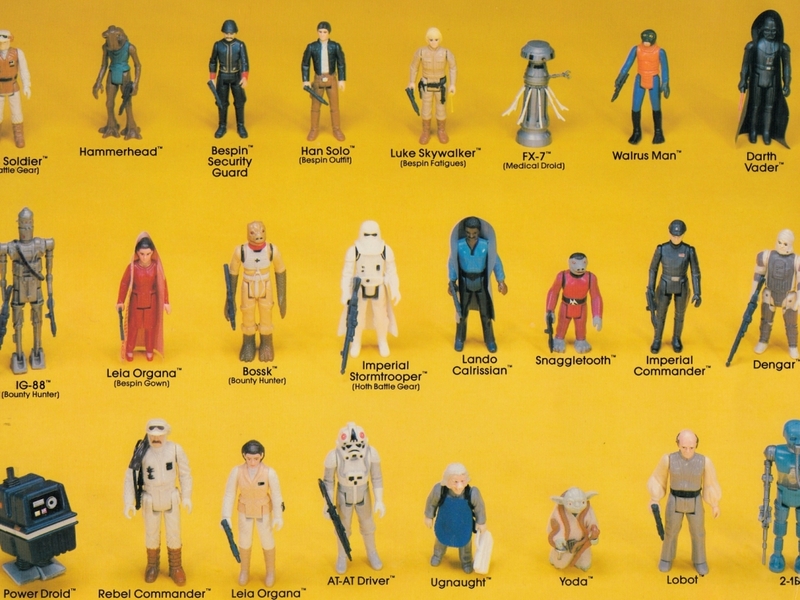 Kenner put the kibosh on Star Wars toy production in the late 1980s. It wasn’t until 1995 that Hasbro, the toy giant that purchased Kenner, reignited the line. In early 1996, a pair of electronic lightsabers soon followed, available in Darth Vader red and Luke Skywalker green, respectively. 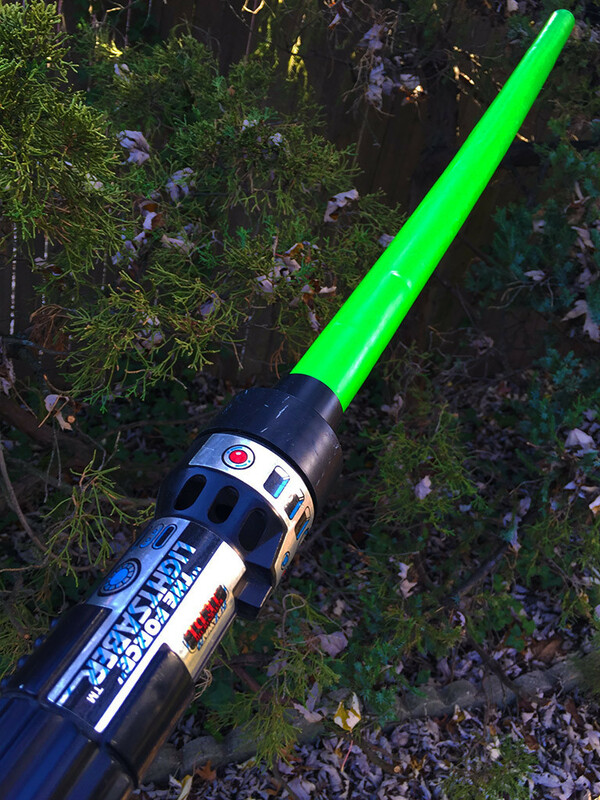 Hasbro took the toy saber to new techie heights with an extendable blade, a light-up feature, and authentic movie sounds. This set the tone for lightsaber releases that would continue to this day. With the arrival of Episode I in theaters in 1999, fans got a glimpse at arguably the coolest lightsaber up to that point: Darth Maul’s double blade. Hasbro’s toy version came in the form of an electronic toy measuring five-feet-long from the tip of one blade to the other. Its strobe lights flashed on contact, and cinematic sounds blared during battle. Maul-velous, simply Maul-velous. Throughout the Episode II and Episode III eras, from 2002 through 2005, a slew of sabers lit up the toy market. Goodies ranged from an electronic Count Dooku slicer to a plush version. But the 2005 release of the Ultimate Lightsaber Build Your Own Lightsaber was particularly noteworthy. This kit, boasting electronic lights and sounds, came loaded with more than 20 interchangeable parts and pieces for imaginative Jedi to customize their creations. 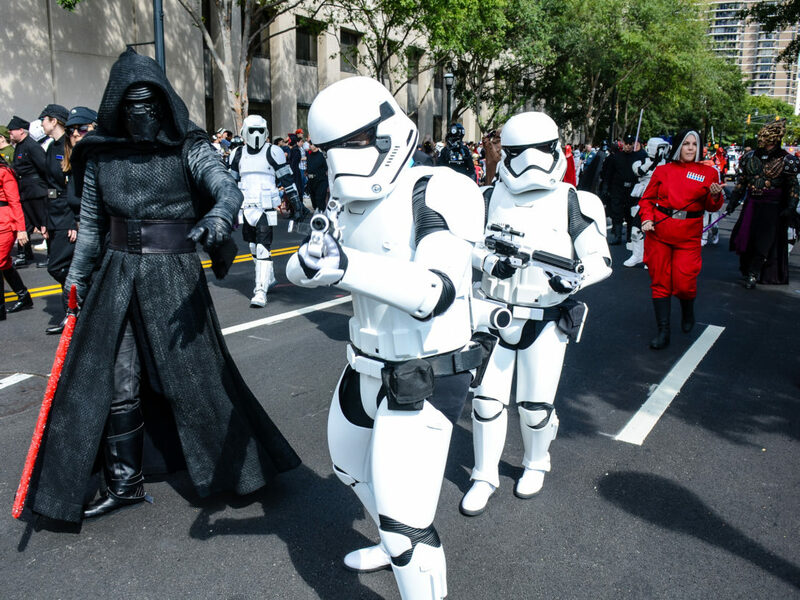 It gave kids the ability to bounce between both sides of the Force and fashion more than 1,000 combinations. A version for The Clone Wars dropped in 2008, offering several different parts, including a tonfa handle. 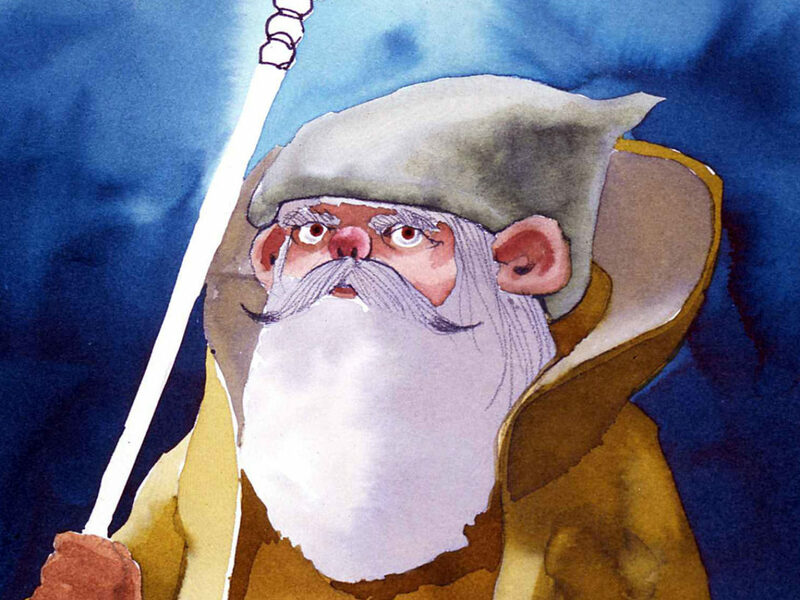 Snazzier, higher-end replica lightsabers remained light years away from toy versions. 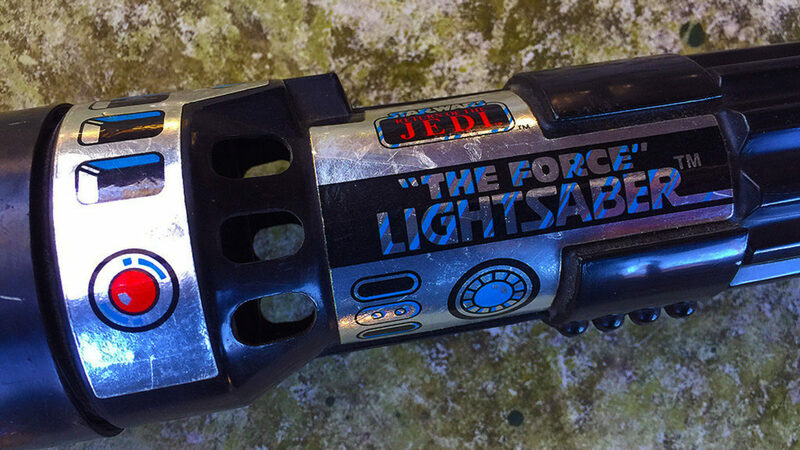 Things changed in 2011 when Hasbro introduced the Ultimate FX Lightsaber. It showcased the same technology as the fancy ones — a progressive light-up blade with LED lights and screen-worthy motion-sensing sounds — with the major difference being a hilt made of durable plastic. An Anakin Skywalker version with a blue blade and a Darth Vader model in red were the first two toys produced. The line, which some call the most realistic at an affordable price, can still be found today. 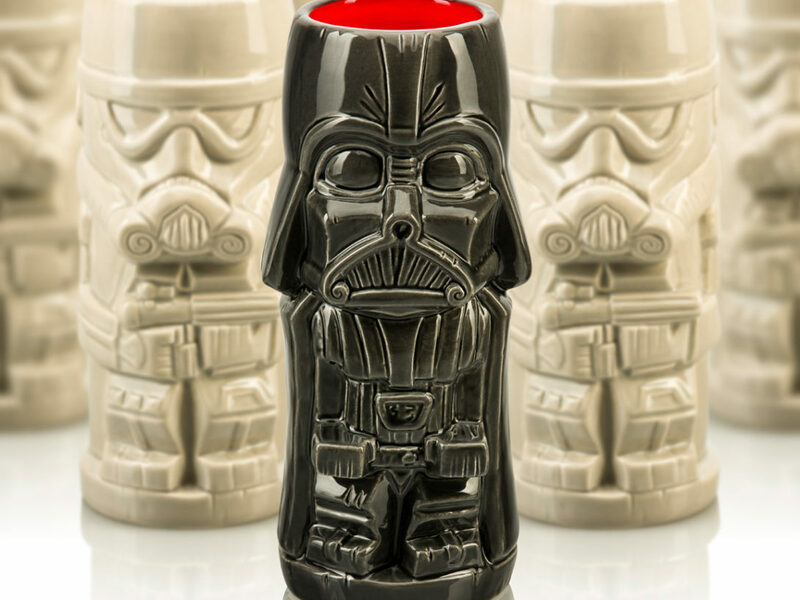 Keep an eye out for the color-changing Anakin Skywalker to Darth Vader saber, and Rey and Kylo Ren versions. The build-your-own concept took an even more elaborate turn in the fall of 2015 with the release of Bladebuilders. Bladebuilders allow kids to mix and match various pieces to create everything from double-sided to three-pronged sabers. The Star Wars Bladebuilders Jedi Master Lightsaber set comes with a starter lightsaber armed with lights and sounds. Accessories include an expansion hilt and more. 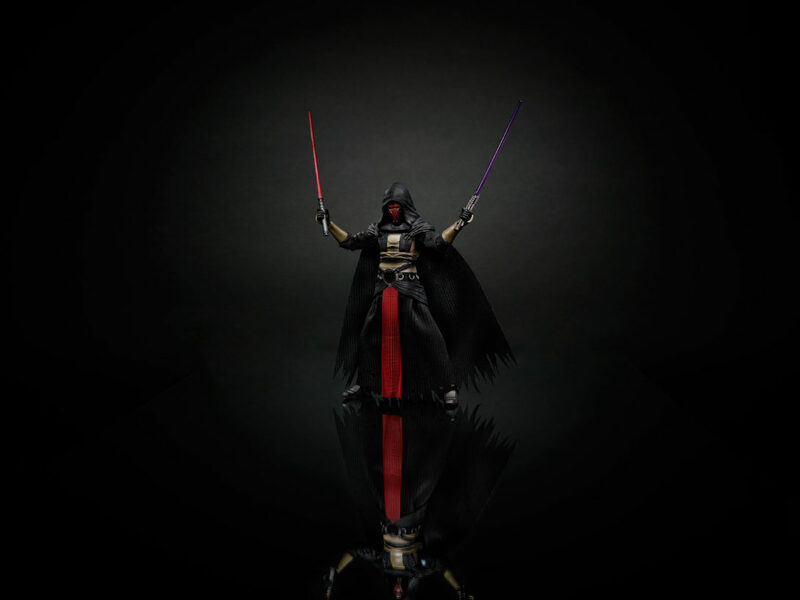 Various other Bladebuilders electronic lightsabers, including Obi-Wan, Vader, and Kylo Ren models, are available and can be fused with other Bladebuilders components. Lower-priced extendable versions can be interchanged, too. 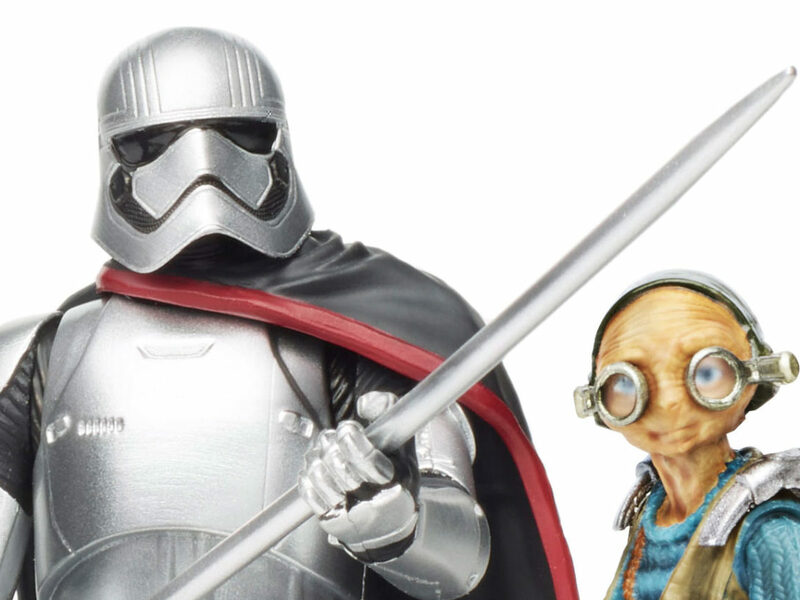 Did — or do — you have any of these toy lightsabers? Share your memories in the comments below! 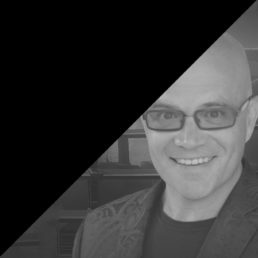 Jon Waterhouse is an award-winning journalist, radio show host, and performer whose byline has appeared in a variety of print and online publications includingEsquire, BlackBook, the Atlanta Journal-Constitution, and on MTV.com. He helms the geek travel blog NerdsOnHoliday.com. 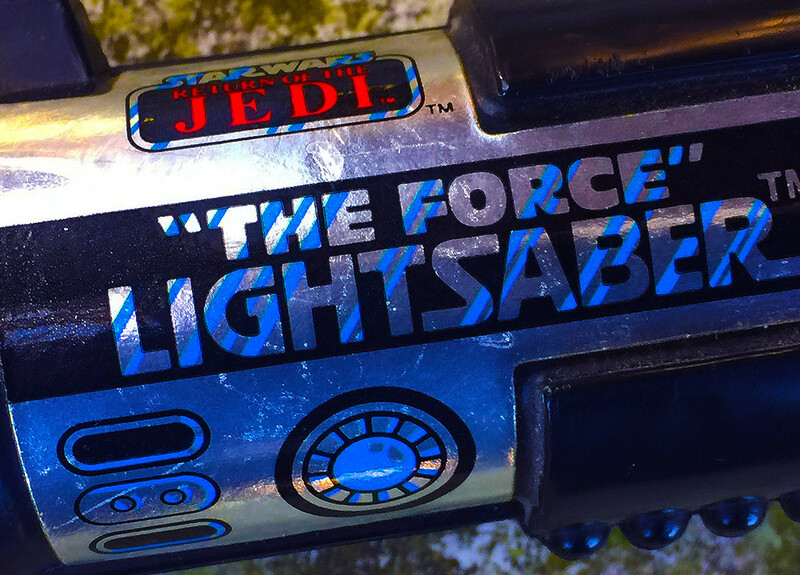 Collectibles from the Outer Rim: “The Force” Lightsaber!